Coming from a family largely of doctors and nurses, Paul Harvey grew up a science nerd and began college as a biology major. He switched majors, and it’s proven a good fit. He has spent the past 21 years as a UCCS professor in the Department of History. 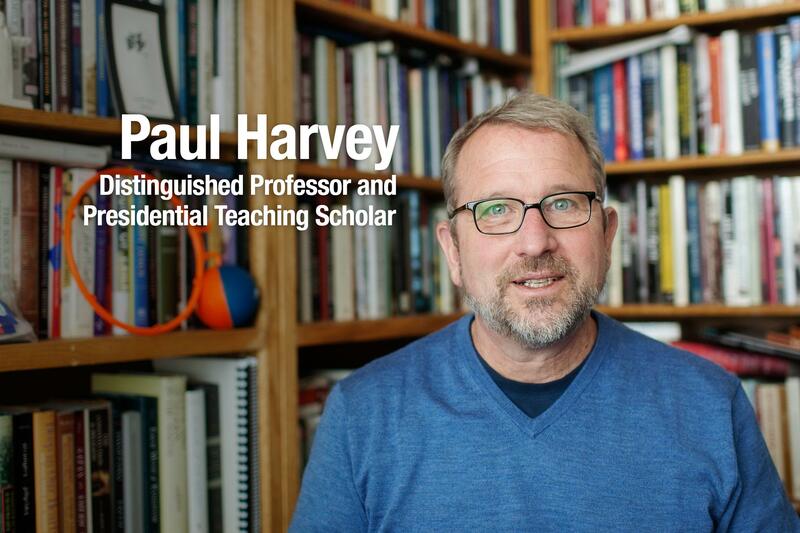 Harvey, 56, was named a distinguished professor Nov. 16 by the CU Board of Regents. A campus reception is scheduled for 5 p.m. Nov. 27 in University Center 303. To register, visit here. He joins six other UCCS faculty to ever earn the title. CU distinguished professors demonstrate exemplary performance in research or creative work, a record of excellence in classroom teaching and supervision of individual learning, and outstanding service to the profession, the university and its affiliates. 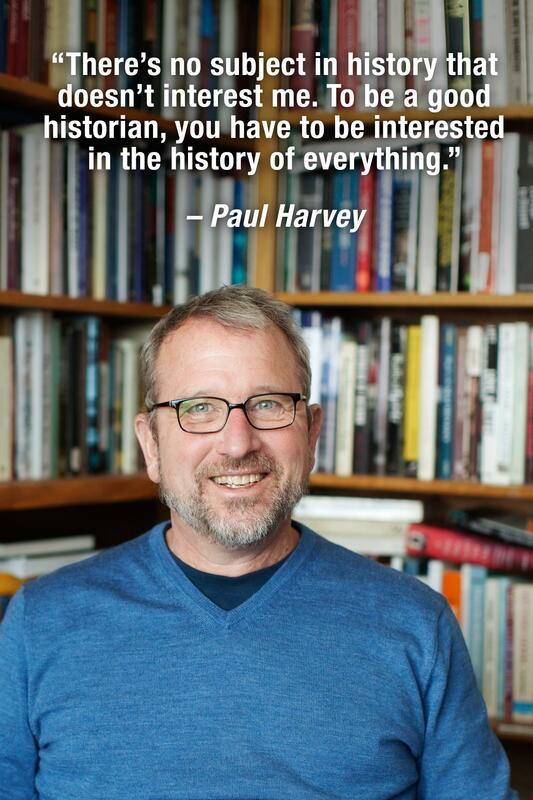 Harvey is a researcher, writer and teacher of American history from the 16th century to the present. He’s the author/editor of 11 books and has written dozens of articles and book chapters on American religious history, history of the American South, and other related topics. 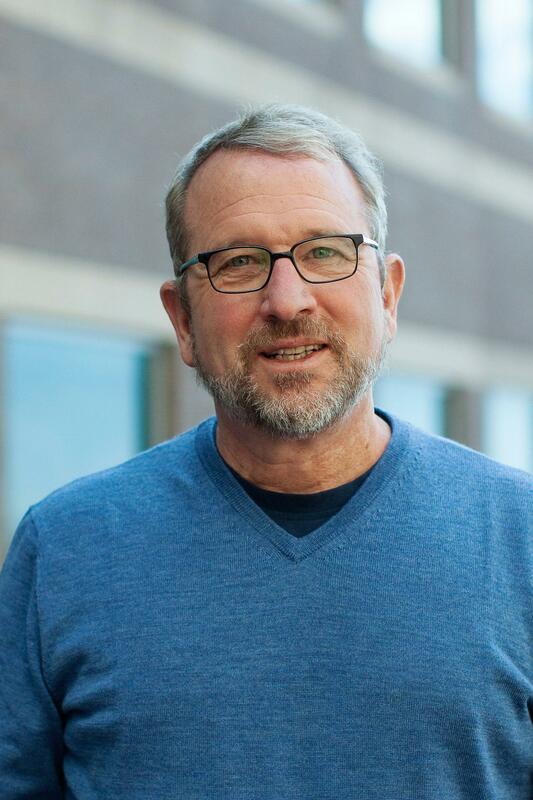 “The history he writes is not a remote academic exercise but a narrative that connects race and religion and in that way gets to the heart of American culture,” said Rob Sackett, UCCS history professor who helped nominate Harvey as distinguished. Harvey credits UCCS for letting him thrive. He’s always been encouraged to research what interests him and create the courses he wants to teach. 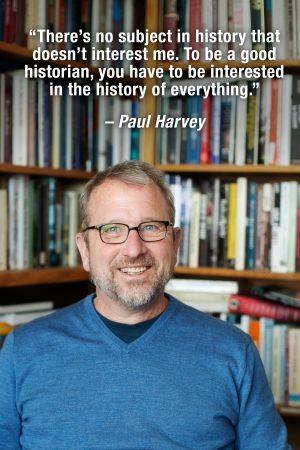 Harvey, who started the professional scholarly blog “Religion in American History” but no longer maintains it, specializes in religious history. But he doesn’t often teach it. He prefers classes that let him explore different areas of history because he loves to learn—he’s teaching himself Spanish just for fun. He’s drawn to history because it doesn’t confine him to one subject. History is everywhere and in everything. All of his degrees are in history: a bachelor of arts in 1983 from Oklahoma Baptist University; a master of arts in 1985 from the University of California, Berkeley; and a doctor of philosophy in 1992 from UC Berkeley. Teaching history means he can talk about a wide range of topics, from historical novels to symphonies written during wartime to what kinds of tanks were used. He uses various materials to connect students to the past, showing them how history incorporates all aspects of life, that it isn’t simply one event after another. He may use music or art. He brings in biscuits similar to the hardtack ones served to soldiers during the Civil War. He passes around Confederate currency when discussing hyperinflation during the Civil War. “I want students to engage history with all their senses, beyond words on the text, to try to engage the past also by hearing, seeing and touching it, and then analyzing the historical meaning of what they’ve just encountered,” he said. Tom Cutcher, a senior history major, commends Harvey’s creative ways of teaching and his willingness to help students. Harvey, who is on sabbatical until January, is preparing to write his first biography. The subject is Howard Thurman, an author, philosopher, educator and civil rights leader. He died in 1981. It will be the first biography on Thurman, who wrote “Jesus and the Disinherited,” an influential book connecting Jesus to the civil rights struggles for poor and disenfranchised people. Martin Luther King Jr. reportedly carried the book in his coat pocket. Harvey’s research and book on Thurman feed into his next project: writing a biography on King.